Surprise, surprise, one of the favourites are out. Ajax are really living their fairytale life, it is a dream come true. They had to go through an actual qualification process to reach the Champions League itself, but here they are. Juventus were the odds-on favourites to go through to the semi-finals, and rightly so. They had an away goal, they were playing at home, they had more individual quality, but Ajax put an end to all the hype surrounding the Bianconeri, dumping them out of the competition. It was just 28 minutes when Cristiano Ronaldo hit Ajax with a sucker punch. The header from the Portuguese man beating Onana and surviving a review from VAR. It wasn't long before Ajax got back into their groove as they hit back with Donny Van De Beek. Even though Juventus managed to scrape through to half-time with the scores level, the second half was game over for them. Ajax completely dominated the proceedings after the break and Matthijs de Ligt's header in the 67th minute gave the Dutch giants the crucial second away goal and ultimately, the victory. This is not a fluke, this is football personified in the playing style, the brainchild of Johan Cruyff. Salute to Erik Ten Hag and salute to Ajax. 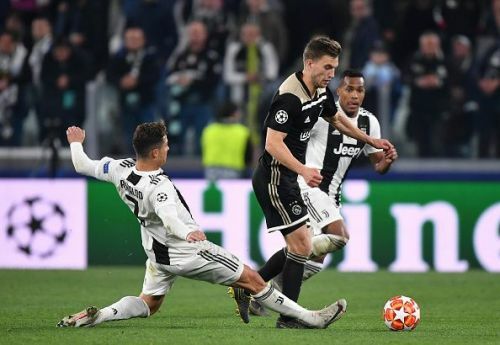 For the sake of it, let us look at three reasons why Juventus lost but blatantly Ajax demolished them is the only reason. Starting de Sciglio over Cancelo was a fatal mistake on Allegri's part. He didn't bring Cancelo in till the 80th minute. We talked about this even before the game started and is not a shocker by any means. Juventus have been lacking a proper gameplan all season long. It was Atletico Madrid who first exposed it at the Wanda and we saw how weak Juve were on that night. They had no ideas on how to break the defence and score. In the return leg, they were lucky that Atleti had a very poor attitude and just wanted to see out the game. The gameplan was simple, cross to Ronaldo and pray. Thankfully, he scored the goals that sent them through to the quarter-finals. Juve had no gameplan against Ajax in the first leg as well. They were letting Ajax do what they want, and instead of imposing themselves on the game, they were trying to stop the Eredivisie outfit from doing what they wanted. This is the attitude of an underdog team who have little to no chance of proceeding, like Porto. Ajax made them pay, the Bianconeri deserved it. Mario Mandzukic and Giorgio Chiellini's absence were a big factor. We don't assume that they could have changed the result against Ajax, but things could have been better. The defence looked out-of-shape without their leader and they looked clueless in attack. The most important point comes in here. Why were Paulo Dybala and De Sciglio on the pitch instead of Joao Cancelo and Moise Kean? Is there any reason? Juventus have wrapped their league up, there is no one even close. One should expect them to throw every ammunition into this all-important game. They rested their whole team for this game and left two major threats out on purpose! Dybala was taken off at half-time and yet Cancelo didn't come on. On the other hand, Ajax, despite being in a tight title race with PSV, fielded a strong 11 and ran riots in Turin. Is it overconfidence from Max Allegri? Is it a lack of awareness? One thing is for sure and that is Allegri's future at the club. He might be gone for good. Just that decision to rest Cancelo for no reason is enough to raise questions. 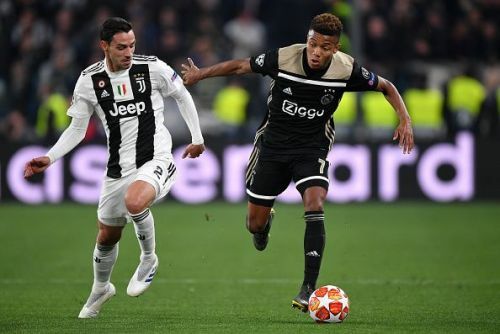 Does Ajax have what it takes to knock Juventus out of the UEFA Champions League?